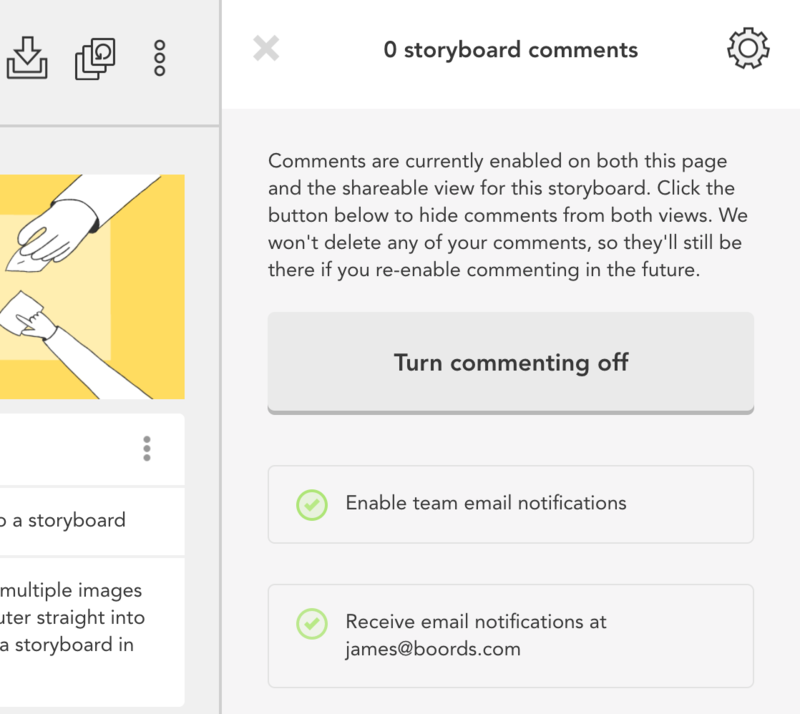 You can now control email notifications for comments on your storyboards on a user by user basis, so you can keep on top of notification overload! To change your preferences, just click the comments link in the header of your storyboard, then the settings icon in the top right hand corner. If you’re an admin, you’ll be able to turn off notifications for all of your team here too. It’s worth noting that notification settings apply to all versions of the storyboard.